YAMATO, the legendary drummers of Japan, closed their Czech tour on November 9 in Prague’s Kongresove Centrum with a show that oscillated between characteristic Japanese solemnity, aggressiveness and humor. The show consisted of several acts meant to tell a story based on the sound of the human heartbeat. However, Yamato do not just care about making sounds; they are performers in the broad sense of the word. Yamato are the Japanese version of a drumline, an ensemble of Taiko, the classical Japanese drums, which can be bigger than a person and weigh more than 500 kg. The group was created in 1993, and they perform every year in more than 51 countries around the world. 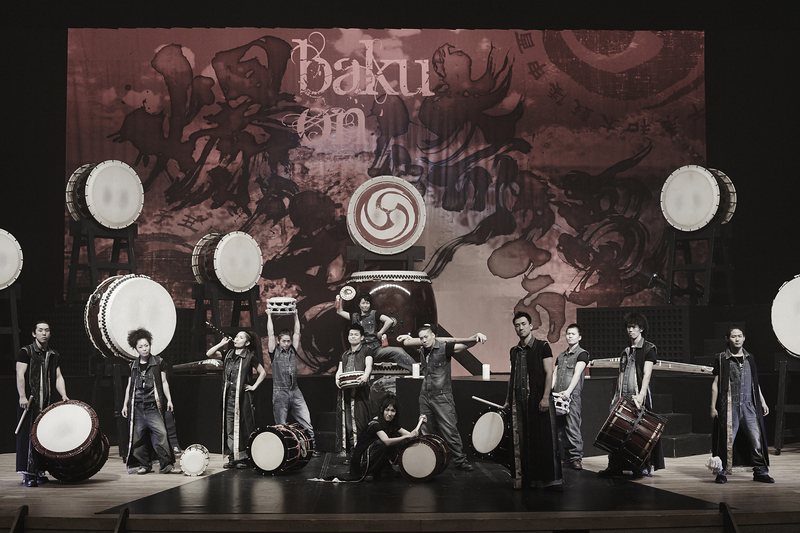 This year, Yamato brought 16 young drummers on tour, aged 19 to 25, although only 8 perform each night. I sat in awe from beginning to end as I watched the Yamato drummers move through the stage in their costumes and play their instruments with hypnotizing fluidity, coordination and passion. Not the slightest glimpse of boredom. Few cultural events can accomplish that. It was also clear that Yamato knew how to get the public involved. A few words in Czech, rhythmic games and funny situations had the audience chuckling and clapping enthusiastically all along. For roughly two hours, everybody understood and spoke drum. Perhaps a part of Yamato’s success lies in the simplicity of their music, because although their performance is skillful and beautiful, musically, they are closer to EDM than to Indian ragas, for instance. Their formula is simple: a pulse that you can tap your foot to, and rhythmic phrases over that. Low-pitched instruments lay the foundation, while the higher-pitched ones develop musical ideas. Bass and treble, if you wish. This is at the core of most of the music that you hear, from orchestral to electronic. Their rhythms and hand combinations are not too elaborate either, and rightfully so, because there are limitations when your drumsticks have the length and width of a child’s arm. Nonetheless, Yamato exploits a wide range of dynamics, speeds and pitches, which combines with flawless choreography and showmanship. It is a well-paced, emotionally broad show full of surprises. The setting and character of every act is different, and besides their more than thirty drums on stage, they also bring “chappa,” a koto, and a shakuhachi. It is satisfying to witness the Yamato drummers’ mastery, and their enthusiasm is refreshing. Yamato closed their Eastern European tour in Krakow, Poland, on November 28. They will likely return to Prague next year. Although it isn’t a sell-your-car-you-gotta-buy-tickets type of show, it definitely is one of those which are WORTH experiencing.